Coriander Leaves(optional):few sprigs chopped for garnish as well as cooking. Chop the vegetables and keep aside.I use carrots,beans,peas,cauliflower .Clean the rice as well.Finely chop the onions and mince/paste the ginger.Slit the green chillies.Roast and powder the above spices or use store bought garam masala.Also keep together the whole spices. Heat oil/ghee/mix of both,add the whole spices,saute till it is about to splutter,add onions,greenchillies and ginger.Saute till transparent.Add the cubed veggies and salt,tomato paste,turmeric and the spice/garam masala powder and saute for a few minutes.Add the rice,blend well with the spices and oil and add little chopped coriander leaves and water as needed to cook the rice and cover and cook till done. Hey Sweatha, biryani looks inviting!! 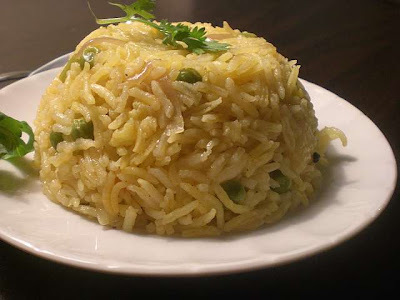 WOw briyani looks delish, lovely click..
Who says no to biryani, great at anytime! 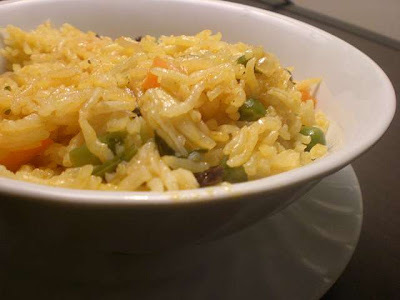 biriyani looks very very tastyand easy to make..I am gonna try this today.. You have an awesome blog.